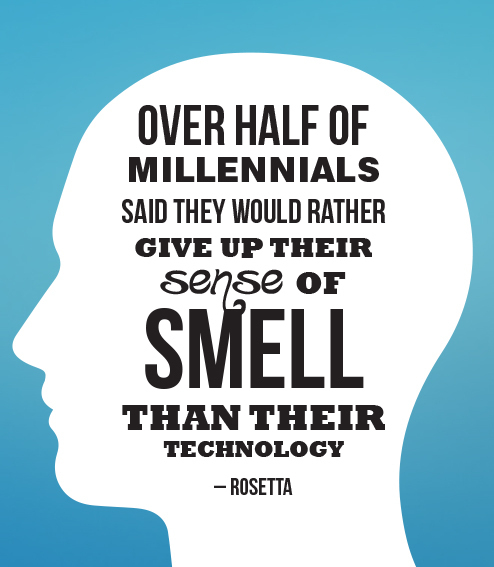 Part 2: Are you using technology … or is it using you? At some point most of us had dreams of being famous, and maybe we still do. Never has that dreamed seemed so within our grasp as it does now. Young people are desperate for their content to ‘go viral’, even going so far as to delete posts that don’t generate enough likes. This creates a false perception of success and failure. If people ‘like’ me, I have value. If I don’t get likes, I am a failure. Our need for approval is heightened by social media and drives us back to our screens again and again, seeking that hit of dopamine (literally, a feel good hormone) that floods our brain when we see new things pop up on our newsfeed or notifications on our phone. But we are seeking validation in the wrong place. Think about the people you look up to (in person) in your everyday life—kind, honest, responsible people. They are the ones you should be seeking acceptance and validation from. We’ve talked a lot about the negative effects of social media. So where do we go from here? Let’s have a look at the positive effects of real life experiences. Wouldn’t you rather life be full of REAL, rather than the virtual? Get out of your comfort zone: out of bullying zone, out of catfish zone, the danger zone … and experience real friends, real games, real exercise, real adventure, real fun. We were made with five wonderful senses: sight, touch, hearing, taste and smell. After watching a cooking show like Master Chef to give you some ideas, why not try cooking a recipe with your friends, or a sibling? Food tends to taste better in person. Our five senses are all located near memory areas of the brain, and when you engage all of them you are far more likely to remember the experience. On the other hand, a virtual experience fades from memory quite quickly. You can’t hug, kiss or hold hands with a computer device, and positive, healthy physical touch is much needed for our overall well-being. We need to know that we’re loved, not just followed by a bunch of strangers on Twitter. Not only are these activities fun, they are good for your health because they engage either your body or your brain. Things like this help your brain development, while too much screen time can actually stunt it—not to mention the impact it has on your eyes and the ability to fall asleep. Kids Matter says that screen time can not only delay a young person’s bed time but trigger adrenaline which makes it difficult to fall asleep. The blue light from the screen also disrupts the body’s natural production of melatonin, which regulates sleeping vs waking time—meaning overuse of screen time can throw off your sleeping patterns. If you want to have a good, long sleep, Huffington Post recommends turning your screens off an hour or two before bed time. Laying aside all the bad things that social media has introduced to our society, it has also done a lot of good. Charities going viral and raising money and awareness for great causes has never been as effective as it is now. Social media groups and chatrooms devoted to promoting positivity and combatting mental illness are a great way to get our young people connected to other teens struggling with the same issues, and to getting the help they need. Inspirational bloggers and Instagram celebrities have also been a beacon of light in the darkness, keeping teens’ spirits up and directing them to professionals who can help them. Psychologist Jean Twenge in an article in The Washington Times recommends not cutting out smart phones entirely, but limiting your contact time to two hours a day or less. The more we stimulate our brains, exercise our social skills (and our physical bodies) the healthier and better-rounded we will all be. Remember, balance is the key! http://www.huffingtonpost.com.au/2016/09/27/australias-suicide-crisis-has-peaked-to-a-terrifying-new-height_a_21480647/, sourced 10 January 2018.
https://www.washingtontimes.com/news/2017/nov/14/teen-suicides-rise-with-smartphone-social-media-us/, sourced 10 January 2018.
https://www.kidsmatter.edu.au/families/enewsletter/screen-time-and-sleep, sourced 18 January 2018.
https://www.huffingtonpost.com/laurie-hollman-phd/effects-of-screen-time-on_b_11407544.html, sourced 18 January 2018.
http://blog.leonardo.com/the-technology-obsessed-generation/, sourced 29 January 2018.
https://www.maketecheasier.com/25-funny-internet-memes/, sourced 29 January 2018.